Life can throw up it's fair share of difficult questions. Every so often however, it can provide you with a few no brainers: "Would you like a free upgrade to business class?" "Would you like us to look after your kids for the weekend so you two can have a well deserved break?"... Such was the case recently when Niall Campbell of Breac House asked if we'd be interested in supplying wine and introducing the wines in a 7 course tasting menu? Add in to the mix that the chef preparing the food was none other than the Head Chef at the award winning Forest & Marcy in Dublin, and you can appreciate that my little brain neurons didn't take long to transmit an immediate "yes". Before we get to the all important menu and "eye candy" photos, it's important to introduce both the chef and the brains behind Breac House, in order to provide some context behind the evening. Breac House is the brain child of two former accountants; Niall Campbell and Cathrine Burke, who wanted to create truly unique holiday accommodation in the beautiful Horn Head area near Dunfanaghy. Everything about the property was designed not only to fit in to the natural landscape, but also be created using as many local materials as possible (Adara Stone, Fanad Granite, etc) as well as using local architects, builders, joiners and craftsmen and women (MacGabhann - Architects, Joseph McMenamin - builders, Hugh Haughey & Frank Morning - joiners all the way through to the supply of cups and plates Muck N Muffins, Dunfanaghy). The resulting property, together with Niall and Cathrine's attention to detail in providing impeccable service standards (breakfast is a thing of legend and is provided through little hatches straight to your bedroom), equates to what can only be equated to 5 Star service in about as boutique and beautiful surroundings as you could possibly hope for. View from one of the gorgeous bedrooms. Locally peat smoked Haven salmon forms part of the menu along with home made yoghurt and butter. 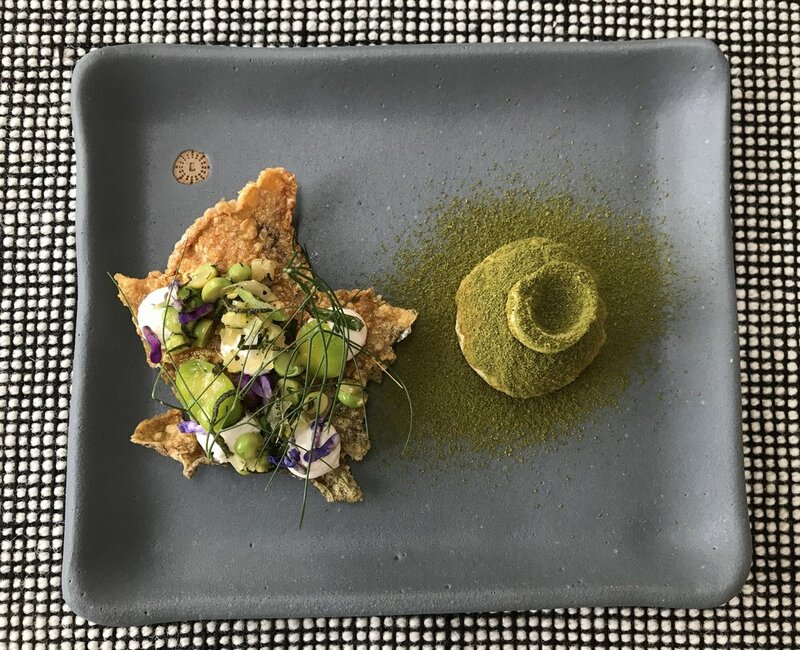 Achingly beautiful settings require equally beautiful food and the source of this food was again under the hands of local craftsmen, this time in the form of Donegal native Ciaran Sweeney. Ciaran started his culinary career at the 2 Michelin Starred Le Champignon Sauvage, before returning to Ireland with spells at the highly respected Thornton's and The Greenhouse where he worked his way to Sous Chef under the masterful Mikael Viljanen. With experience gained after 3 years working under Viljanen, Ciaran looked to strike out on his own. Through running pop up nights in conjunction with the owners of the prestigious Forest Avenue (John & Sandy Wyer) his talent caught their attention. 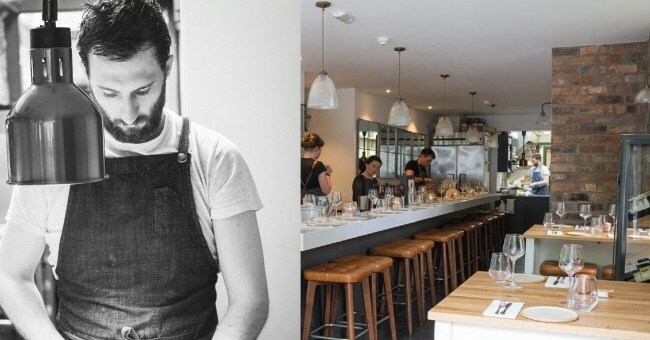 When the pop up became a mainstay (Forest & Marcy) Ciaran was the natural choice for head chef. Ciaran manages to serve impeccable food and keep a cool head in the open kitchen lay out of Forest & Marcy. The room is truly intimate and serves as a great way to interact with the diners as well to educate them as to the preparation and fine details about what they about to enjoy. WARNING: What follows is NSFES (Not Safe For Empty Stomachs). You will be instantly more hungry after reading. Reader discretion is advised. Enjoy! We certainly did. The menu and photos speak for themselves so no more words required! For accommodation reservations or details of future events, links to both Breac House and Forest & Marcy are at the foot of this post. Surprise course (off the menu). Crispy Chicken Skin and Cheese Taster. Scallops baked with seaweed and vinegar, roe emulsion. Donegal lamb, offal kebab, courgette, basil & lemon thyme.